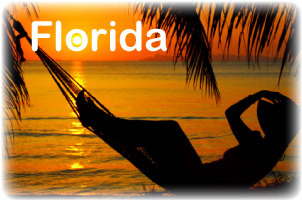 CND Vacation Rentals welcome you to Florida, an ideal year-round destination where the sun always shines! If you are looking for a luxury vacation home in or around the Orlando area, take a peek at our selection of hand picked vacation rentals, there is something for everyone. All of our vacation homes are based in Central Florida, and all within easy access of all the major attractions. Orlando is an excellent location and offers the best of all Florida - beaches, city and all the Disney and Universal Theme Parks, not forgetting all the other attractions and endless options on offer! Enjoy - Endless beaches, golf and designer shopping! Don't forget to save some vacation time for relaxing sunsets, cool drinks and warm sand! Some of the most spectacular beaches are close to Orlando. Drive on the sand at Daytona, ride the waves at Cocoa Beach, or enjoy the tropical vibe of the white sandy Gulf shores and it's calm waters. If you enjoy shopping Orlando has a fabulous selection of bargain shopping outlets and malls with great discounts. Golfers can enjoy the numerous golf courses in the Orlando area. Orlando is the most exciting family destination.. Take your family on a magical journey.. There is no need to be cramped in a hotel room, when you can enjoy your own private pool home with your family and friends. Relax in the comfort of your private vacation home after a busy day at one of the Theme Parks. There is always plenty of room for everyone. Some of our properties have games rooms, ideal for keeping the kids or adults entertained! Fun and relaxation is easy in Florida.. The travel specialists at CND Vacation Rentals have the experience and knowledge to assist you with any questions that you may have about any of our vacation rental properties or any information that you require to help you plan and create your dream Disney vacation. Take a minute to browse through our selection of family owned villas to find your ideal vacation rental in Orlando. We offer a fine selection of privately owned vacation homes in some of the best locations, all within easy driving distance of Disney and the other major attractions. Our properties come with the highest specification, fully equipped so that all our guests can enjoy their ideal vacation in the land of magic. Create memories that will be remembered by all the family for years to come.. Please contact one of our travel specialists if you have any questions and we will be happy to help you. We can assist you to find great vacation deals for your dream Orlando vacation.